Reading a book about the Brontes always has the effect of taking me out of a writer's block. Something about the life of this unusual and fated family has fascinated us all and has a hold on our imagination and feeling. It was a family of highly intelligent and thoughtful people, shaped by intense passion, pain and tragedy. Each member is a fascinating study in his or herself. 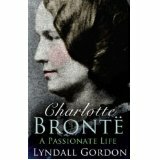 Currently, I'm reading a recent biography by Lyndall Gordon called The Passionate Life in which she examines Charlotte Bronte from the angle of her strong, fiery nature. 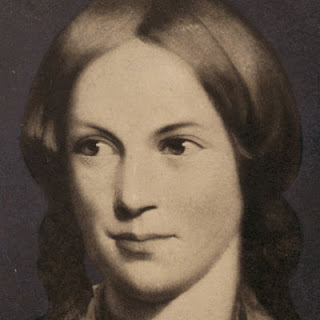 Popular ideas have for many years created a myth mainly based on the biography of Elisabeth Gaskell, whose Life of Charlotte Bronte was published in 1857. Gaskell painted a picture of Charlotte and her sisters as prim, sober women, the product of their dreary environment, living as they did in the Rector's house, surrounded by a graveyard, in a small town where illness was rife due to insanitation and poverty and where few lived to old age. The countryside, which inspired Emily with mystical reverence for Nature, was to her bleak and inhospitable, the wild Yorkshire moors. Gaskell put a deal of blame upon the shoulders of their self -absorbed and difficult father, Patrick Bronte and one has to agree with this. He seldom ate with the family, kept himself immured in his study when not about his parish business, leaving the children in the care of their aunt and later the servants. He tried to get his daughters an education, knowing they would only ever be socially fit to work as governesses but failed to see his elder daughters dying of starvation and consumption at the terrible school at Cowan Bridge where he sent them. And he had no idea that they were writing novels until Charlotte rather diffidently presented him with 'Jane Eyre' and said she hope he might read the book. 'I rather think I shall gain money by it', she replied. He did read it and later at tea, the one meal he occasionally condescended to share with them, he announced, 'Children, Charlotte has been writing a book - and I think it is a better one than I expected.' However, when his wastrel, alchoholic, opium-ridden son died, he was bereft. He shared the prevailing belief that the boy was the important member of the family. But Branwell Bronte proved incapable of living up to his father and his sister's hopeful expectations. He had talent and might have done well if he had submitted to training, but he had neither will, nor moral discipline as the girls did. Lyndall Gordon explores the 'home' Charlotte, the real, inner character that she was when in her own environment or with those few friends she really trusted. Her public image was totally different, silent, mousy, disliking to be noticed. In other words, Charlotte cultivated a demure, protective persona and hid her passionate, angry, strong nature behind this. It was a necessity. Women were meant to be doll-like, biddable, sweet, angelic and considered brazen and bold if they attempted to enter public life. Charlotte's pride forbade being regarded in this light or being misunderstood. The sisters all chose to publish their books under ambiguous pseudonyms that could be male or female, Currer, Acton and Ellis Bell. 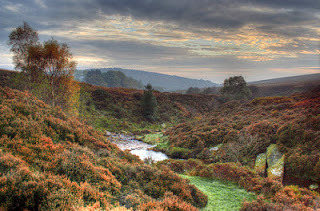 Even then their books, especially 'Wuthering Heights', were deemed 'coarse' and 'insensitive'; brilliant if written by a man, scandalous if written by a woman. My daughter and I joined the Bronte Society many years ago and our first visit with them was to Brussels to see the places where Charlotte had studied French and met her destiny in the shape of her imperious master, Monsieur Heger. Reading between the lines, one feels that Heger delighted in exerting a powerful charismatic appeal over his pupils. Perhaps it was the secret of his brilliance as a teacher. And there was much about him that conformed to Charlotte's own inner image of 'the dark lover'. She found in him a mentor and a person who truly noticed her, recognised her talents and fostered them. He expressed her own anger, passion, vehemence and intellectual strength; qualities she was not allowed to express as a woman. Her feelings grew too much for her but her real need was not so much about love as for this recognition by someone that was her equal. She expressed this in 'Jane Eyre' when she confronts Rochester. 'I speak to you as an equal.' Jane declares. When Heger withdrew his letters to her in the face of her increasing anguish and need, the resultant sense of pain, rather than felling her, as Branwell was felled by the loss of his love, spurred Charlotte to sublimate the experience through her writings. This is the true stuff of greatness. To delve into the depths of one's own soul, to take one's bitter loss and rage and pain, and create rather than destroy or be destroyed. I have to read Lyndall Gordon's biography. I really enjoyed Elizabeth Gaskell's notorious biography. Jane Eyre is a masterpiece and Gordon's views about Heger intrigue me. I was happy to know that Charlotte married especially having such a hard life herself! I greatly enjoyed that Gordon bio when I read it last year. But then I made the mistake of going back and rereading Jane Eyre, only to find it had undergone a disturbing change since I had last read it in the 1970s. With the feminist awareness we have all developed in the intervening years I no longer saw Mr. Rochester as a romantic hero, nor did their relationship bear the slightest resemblance to a great love. Rochester's behavior from start to finish was abusive and Jane's response masochistic. Rochester lies, torments, and manipulates Jane throughout the tale in a way that gave me the creeps this time through. When friends get involved with men like that nowadays people stage interventions. When I was done I wanted to get down on my knees and give thanks that I wasn't a Victorian woman. I think one needs to see that Charlotte and Emily were actually caught up with an archetype that resonates and appeals as much to women today as it has always done. The Dark Lover. He takes a different form nowadays such as vampires, the type of man in Fifty Shades of Grey and so on. Even the lure of the Harry Potter series and all such modern takes. Women will always be fascinated with such a type. It's part of their own driving force, and Mars-Pluto figures strongly in the charts of those who write about them. Charlotte and Emily were especially prone to it. I published an astrology article some years back on The Poetic Soul and The Dark Lover. Maybe you'll enjoy that, Jenny. I'll put it up sometime.